In recent years you may have heard a lot about raw milk, much of it contradictory. Why is it inspiring a growing number of fervent supporters in the face of such fierce opposition by government and media? Here’s some perspective. The vast majority of milk sold in the U.S. is pasteurized, which means it’s been heated to temperatures high enough to kill nearly all the bacteria. 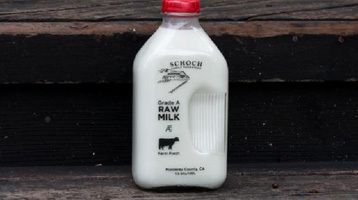 Strictly speaking, raw milk is simply milk that has not been pasteurized. But as the distinctive product we’re talking about here, it’s a bit more complicated. In that sense, we must add to our definition and say that raw milk is not only milk that has not been pasteurized, but milk that has been specially produced with the intention that it be consumed that way. This seemingly fussy distinction is key, because most milk produced with the assumption that it’s going to be pasteurized before consumption (also known as “pre-pasteurized” milk) is indisputably unsafe without pasteurization. And the reasons why that is so are at the heart of what raw milk proponents are seeking, and of what they find wrong with the conventional dairy industry. Why do its proponents think it’s better than pasteurized? To produce milk clean enough to be consumed unpasteurized, raw dairies must be cleaner than conventional ones. 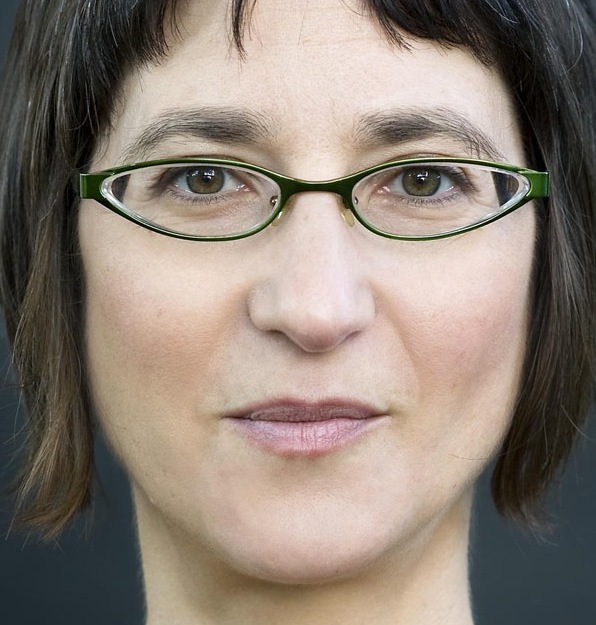 That means starting from small-scale, local production from grass-fed cows, or from goats or sheep (grass-fed cows are more resistant to infection that grain-fed; goats and sheep are easier to keep clean) rather than the giant, unsanitary CAFOs (“confined animal feed operations,” aka factory farms) that are standard in today’s conventional dairy production. These inherently cleaner methods, say raw milk proponents, while not in themselves a guarantee and requiring in addition strict safety protocols, set the stage for production of a product that can be managed safely, with risks on par with any food that requires proper handling, such as the leafy greens, poultry, and ground meat that pose the greatest risks in the U.S. food system today. They point to countries such as France and Italy, where raw milk is available in vending machines, to suggest that the product, when properly produced and handled, can be compatible with first-world safety standards. You can get pasteurized milk withall those non-CAFO features—grass-fed, local, small-scale, etc.—andfor some refugees from conventional dairy that’s enough. But raw milk proponents are after something beyond industry reform, and besides even the fresh, uncooked taste many find superior. They contend that milk’s complex package of biologically active components confers specific health benefits that are destroyed by pasteurization, and, moreover, that the process may create risks of its own. What do proponents believe are the health benefits? 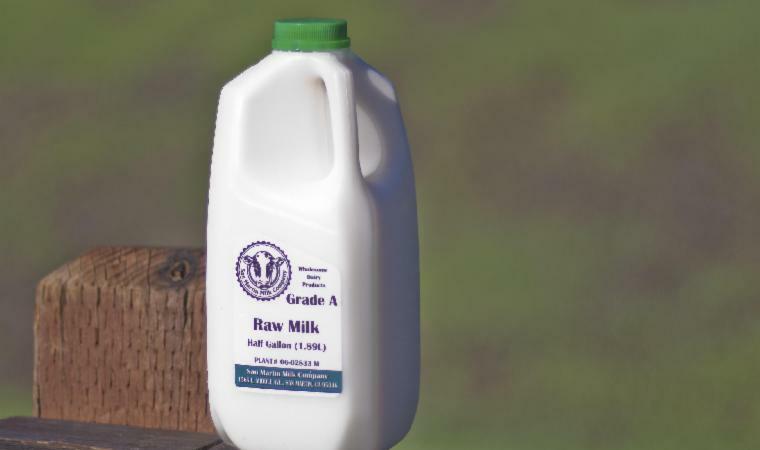 Proponents say that raw milk is more digestible and nourishing, and that it benefits the immune system and the gut microflora.They contend that pasteurization destroys key components—including beneficial bacteria, proteins, enzymes, and other factors known and unknown—that mainstreamnutrition authorities overlook when they dismiss the nutrition loss as negligible. They also say that it alters other components to make the food less assimilable and therefore not only less digestible but more allergenic and inflammatory. Indeed, many people drink it with the idea that overly sterile, “dead” foods are contributing to the current epidemic of chronic health problems. Some people who have difficulty tolerating conventional milk report that they are able to drink raw milk. Others report benefits to the immune system, such as improvement or resolution of allergy-related conditions and the retreat of recurring infections such as those of the ear, especially in children. These results were consistent with other studies suggesting a “barnyard effect” from consuming raw milk, a finding that resonates with the “hygiene hypothesis” currently gaining traction among health scientists, which theorizes that the recent rise in allergic conditions and autoimmune diseases in the developed world could be due to overly hygienic conditions in which insufficient exposure to microbes and other organisms may result in lack of proper “training” for developing immune systems. Surprisingly, one study suggested that the effects on allergic conditions might be due not to bacteria but to certain whey protein fractions that are destroyed in pasteurization. Which just goes to show that while raw milk detractors may be right in saying the roughly 10 percent loss in the four or five nutrients government analyses measure is negligible as far as those nutrients go, there’s a lot going on in milk, some of it as yet unknown. Meanwhile, U.S. public health officials remain adamantly opposed to the product, insisting that the benefits are dubious and vastly outweighed by the risks, and a look at their assessments can be sobering. Raw milk proponents argue that the feds’ statistics exaggerate the dangers, that the true risks under appropriate regulation would be on par with any food requiring proper handling, and that these same agencies turn a not-disinterestedly blind eye to ever more dangerous practices on the part of Big Ag—from super-sized processing plants that taint greens, chicken, and burgers to the relentless abuse of antibiotics, hormones, pesticides and additives—while making it increasingly hard for better players to compete. Raw milk is illegal in 17 states. Retail sales are legal in California and Oregon, though Oregon permits goat and sheep milk only. Illinois allows on-farm sales only. See http://www.farmtoconsumer.org/raw_milk_map.htm. -choose a raw milk vendor without careful vetting. -drink raw milk or give it to anybody without doing your research and getting their consent. -drink raw milk if you’re not comfortable with the idea. -buy raw milk for use in cooking, since you’ll be heating it anyway. 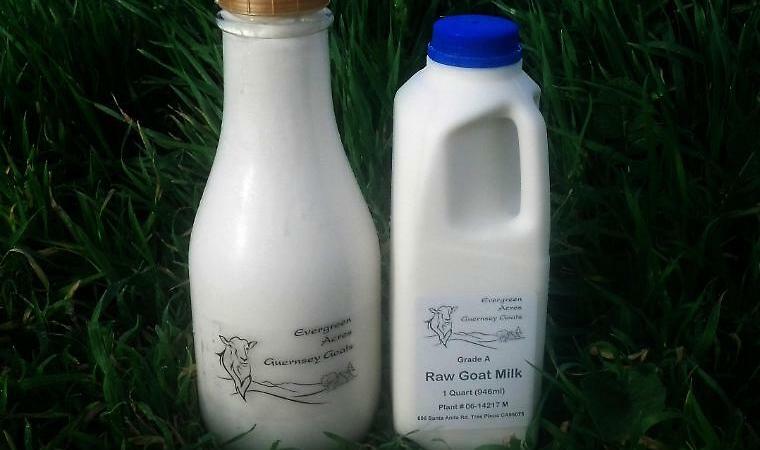 -expect that raw milk will necessarily solve your milk allergy or intolerance problem. If your reaction is not life-threatening, it’s worth a try, but some people are unable to tolerate milk of any kind. The Raw Milk Answer Book: What You REALLY Need to Know About Our Most Controversial Food (http://amzn.to/1DL9zUX), by former Wall St. Journal reporter and Harvard Business Review editor David Gumpert, himself a raw milk drinker who respects his wife’s decision to refrain. I am indebted to Gumpert for much of the information in this post.